From 6 p.m. to 6 a.m. the pile was documented through video and still photography. 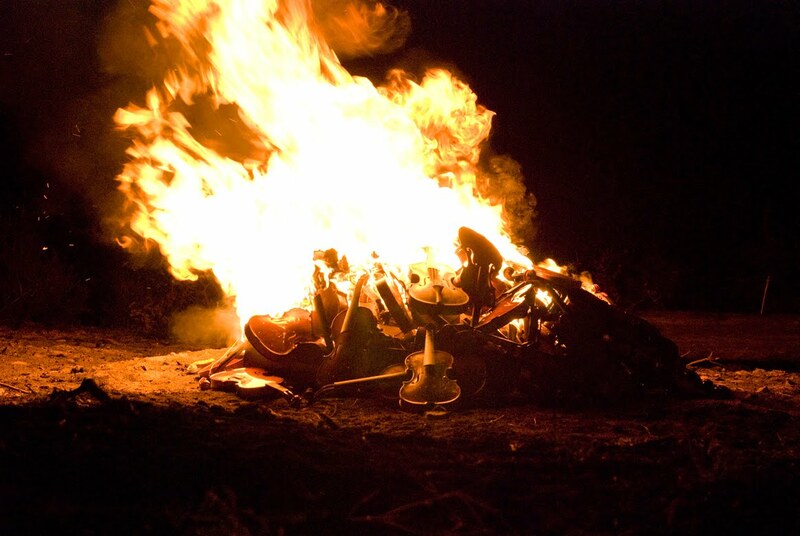 At nightfall a single violin was ignited, and the pile was soon engulfed in flames. The phases of the violins’ destruction will serve as the reference imagery for a series of paintings and accompanying video. I plan to produce several large-scale oil paintings depicting the pile of violins in various stages: at dusk, the pile of intact violins illuminated by the setting sun; at nightfall, the pile of violins ablaze; and at dawn, the charred remains. The video documents the duration of the violins’ incineration from dusk to dawn, time-lapsed to one hour.